Because the Datsun Aftersales treatment is all your vehicle needs in those unforeseen and unplanned breakdowns - Datsun's 24-Hour Roadside Assist is there when you need us most. 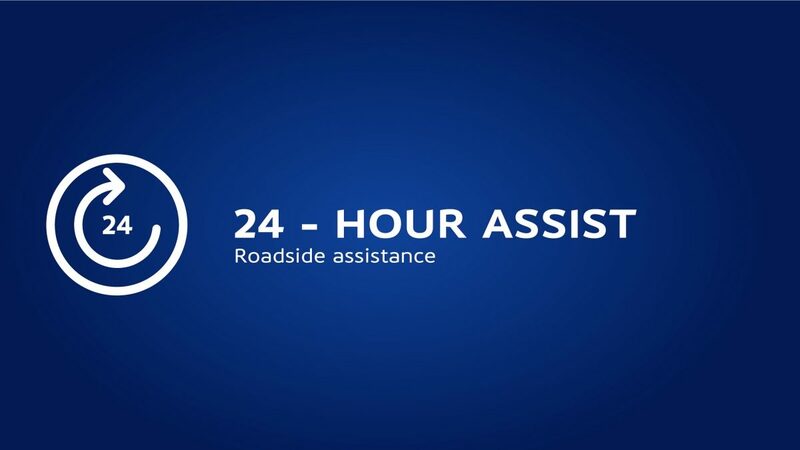 All new Datsun vehicles come with Roadside Assist aligned to the warranty of your vehicle, so whether you’ve locked your keys in your car, got a flat tyre, a flat battery, run out of fuel or simply broken down, the Datsun 24-hour Roadside Assist team will get you safely back on the road in no time. From the minute you sit inside your Datsun, we are committed to protecting your well-being and making sure that whatever obstacles you come across, we will be right beside you. Just call 0800 DATSUN (328786) for South Africa OR +27 11 929 3427 or +27 12 529 5103 for all International or neighbouring states for 24-hour roadside assistance. Our expert consultants are available to help whenever you need it. Our staff is on hand to offer support in all our official South African languages. We will dispatch an approved Datsun supplier to your location to assist with your mechanical or electrical breakdown, such as flat tyre, problems with your battery, running out of petrol or if you lock yourself out of the car. If the problem cannot be fixed immediately, we will send a tow truck from the nearest location to assist you. We will arrange towing for mechanical and electrical breakdowns to the closest approved Datsun dealership where the vehicle can be repaired. We can arrange for vehicles involved in accidents to be towed to the closest approved Datsun panelbeater, but their services are not covered. We can assist Datsun clients that are out of their standard warranty, but please note the service is not covered. Costs in the event that the car malfunctions due to fuel or fluid being empty. However, Datsun Roadside Assistance can arrange for technicians to help you, provided that the cost is incurred by you. Datsun Roadside Assistance will not be responsible for the theft of belongings or accessories left inside or outside the vehicles. Datsun Roadside Assistance will not be responsible for the cost of damages in the event that the car manufacturer recalls the vehicles. Datsun Roadside Assistance will not be responsible for the cost of damages in the event that the cars are maintained by a service centre that does not meet the required standards, or from an error on the part of the reseller's technician, service centre or garage. Datsun Roadside Assistance will not be responsible for the cost due to fake parts or parts from unauthorised manufacturers. To find out more about the Datsun 24-hour Roadside Assist that you and your Datsun will just love, visit your nearest Datsun Dealer.